An Australian startup has been revealed as the key technology partner of new contactless payment sunglasses which have led to a world sensation after being unveiled at the iconic South by Southwest (SXSW) Festival. Global payments giant Visa unveiled the WaveShades sunglasses to an international audience at the festival in Austin, Texas. The unveiling has attracted television and online media attention across the globe. 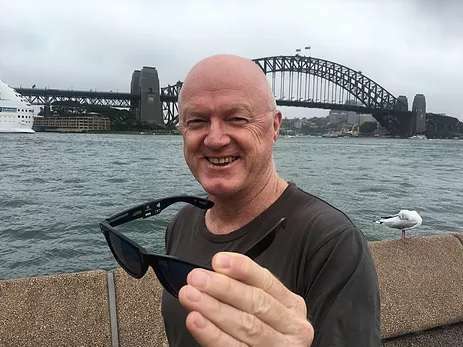 The fascinating and little-known back story however is that FinTech Australia member Inamo came up with the sunglasses payment concept and provided the near field communication (NFC) chip which is powering the WaveShades. Mr Colbert then developed the Inamo Curl, a waterproof payment wearable that can be attached to watch and fitness bands and is compatible with any Visa PayWave terminals. The chip used in the Inamo Curl is the same chip embedded in the arm of the WaveShades sunglasses unveiled at SXSW. “I’m really proud as an Aussie startup that Visa chose our payment platform to promote their WaveShades sunglasses at such a prestigious event like SXSW,” Mr Colbert said. “I wish I could have been there but we are collaborating with Visa to promote the WaveShades at the WSL Quiksilver Pro on the Gold Coast this weekend. FinTech Australia CEO Danielle Szetho welcomed Inamo being profiled on the global stage and said it reinforced Australia’s credentials as a world leader in contactless payments. “Inamo’s rapid growth comes on the back of the fact that Australia has the strongest market penetration of contactless payments in the world,” she said. Earlier this year, hundreds of people attending music festivals across five Australian cities trialled the WaveShades sunglasses, as part of another collaboration with Visa. Visa’s media statement on this is available here..
Inamo was a founding resident of the Stone & Chalk fintech startup incubator based in Sydney, Australia. Stone & Chalk is Australia’s only dedicated fintech incubator.